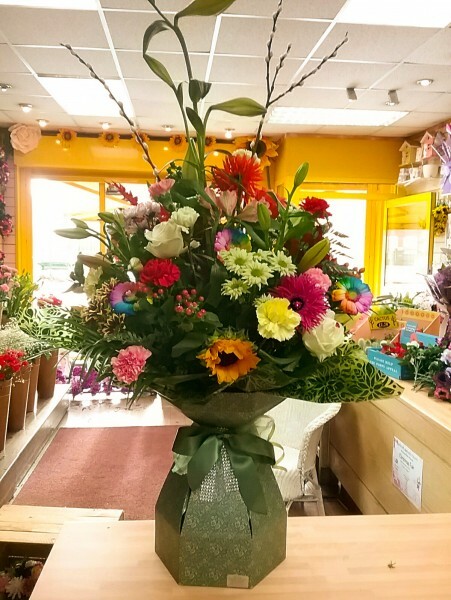 We are a well established florist and have been trading since 1987. We specialize in every aspect of floristry and between myself and my staff we have 57 years of experience , we provide a very good delivery service throughout the whole of Manchester and many surrounding areas, we are a member of a very good relay company called direct2florist so we can arrange to send flowers nation and international ,you can find us on Facebook ( suesfloristeccles) our website is www.suesfloristsmanchester.co.uk were you can have a look at some of our floral tributes, my email is suesfloristeccles@gmail.com. our shop phone number is01617890925.